When an individual’s kidneys fail, three treatment options are available: hemodialysis, peritoneal dialysis and kidney transplantation. Many patients feel that a successful kidney transplant provides a better quality of life because it allows greater freedom and often is associated with increased energy levels and a less restricted diet. In making a decision about whether this is the best treatment for you, you may find it helpful to talk to people who already have had a kidney transplant. You also need to speak to your doctor, nurse and family members. 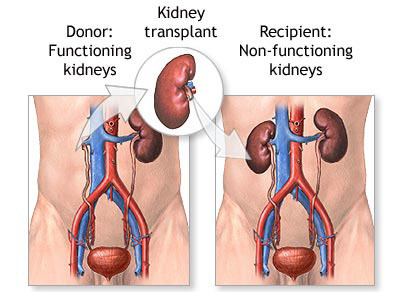 A kidney transplant is a procedure performed to replace non-functioning kidneys with a healthy kidney from another person. How the kidneys work ? They filter wastes from your bloodstream and maintain the balance of electrolytes in your body. They remove chemical and drug by-products and toxins from your blood. They eliminate these substances and excess water as urine. They secrete hormones that regulate the absorption of calcium from your food (and thus bone strength), the production of red blood cells (thus preventing anemia), and the amount of fluid in your circulatory system (and thus blood pressure). When blood enters the kidneys, it is first filtered through structures called glomeruli. The second step is filtering through a series of tubules called nephrons. The tubules both remove unwanted substances and reabsorb useful substances back into the blood. Each of your kidneys contains several million nephrons, which cannot be restored if they are damaged. Various conditions can damage your kidneys, including both primary kidney diseases and other conditions that affect the kidneys. If kidney damage becomes too severe, your kidneys lose their ability to function normally. This is called kidney failure. Kidney failure can happen rapidly (acute kidney failure), usually in response to a severe acute (sudden, short-term) illness in another body system or in the kidneys. It is a very common complication in patients hospitalized for other reasons. It is often completely reversible with resolution of the underlying condition. Both types of kidney failure can occur in response to primary kidney disease as well. In some cases this kidney disease is hereditary. Infections and substances such as drugs and toxins can permanently scar the kidneys and lead to their failure. A small number of people who undergo transplantation for certain kidney disease experience a return of the original disease after the transplant. You will need to take medications every day to prevent rejection of your new kidney. Additional treatment may be needed if a rejection episode occurs. Regular checkups at your transplant center will ensure early detection and treatment of rejection. 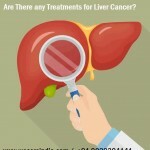 It is difficult to state the Best Kidney Hospitals in India especially in Delhi as there are many multi-specialty hospitals are available under We Care India, the leading medical tourism company and the network hospitals under We Care India has the top class infrastructure, most recent equipment and world-class specialists and other professionals. India is a country which has gained a global reputation as a medical hub, where the patients across the globe will get the world-class facilities at very reasonable and affordable cost. 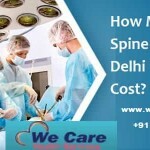 Hospitals all over the country are well-equipped with trained doctors, surgeons, medical staff, infrastructure and the equipment that has been purchased from the international market, to help the patient get fit and fine with best possible treatment. Now, when it comes to recognition, there are many Indian hospitals which are recognized by Joint Commission International (JCI) like AIIMS, New Delhi, Fortis, New Delhi, Lilavati Hospital and Research Center, Mumbai, Max Super Speciality, New Delhi and many more hospitals across India. 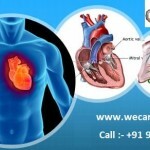 The Kidney hospitals in India are not only affordable but these are the hospitals which offer intensive care to their patients and provide them 24*7 supports so that the patient will recover fast. This is the reason that people from other developed countries visit India for their Kidney treatment in India. The cost for Haemodialysis which is a life-saving procedure and will flush out the toxins from the body ranges between USD 25 to USD 60. Peritoneal dialysis will cost you around USD 300. If there is a kidney failure than the cost of the kidney treatment is around USD 15,000 in case the patient has the insurance. Generally, the insurance company does not cover the kidney disease until hospitalization is required else the patient will end up with high bills which can go up to USD 70,000.